247Sports NFL Analyst Kevin Boilard delivers his latest power ranking of the league's 32 general managers. How close is the NFL to a players' strike? 247Sports NFL Analyst Kevin Boilard discusses the state of negotiations regarding the league's collective bargaining agreement. 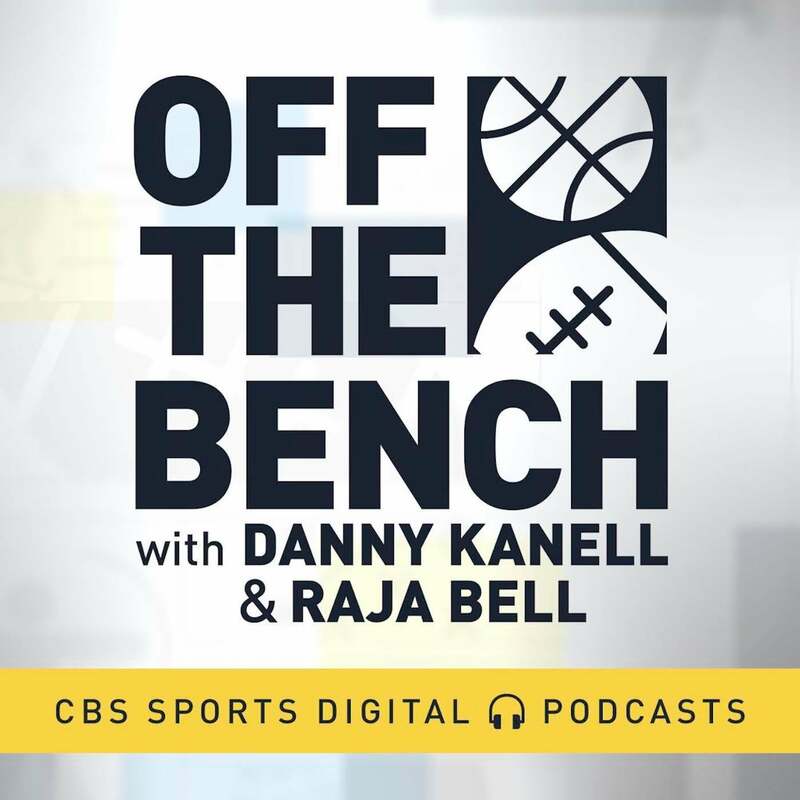 Browns running back Nick Chubb joins Bill Reiter to discuss trading for Odell Beckham Jr., the Browns changing culture, and his relationship with Freddie Kitchens. Tune into Reiter's Block every Monday through Friday at 5 pm ET. 247Sports NFL Analyst Kevin Boilard ranks all 32 teams based on his formula for calculating draft capital. Alabama head football coach Nick Saban talks about the message Cleveland Browns head coach Freddie Kitchens had for the Crimson Tide's coaching clinic attendees this week. 247Sports NFL Analyst Kevin Boilard breaks down the latest AFC North title projections from SportsLine. 247Sports NFL Analyst Kevin Boilard breaks down the projected win totals for all 32 teams heading into the 2019 season. Browns wide receiver Jarvis Landry discusses the competitive spirit of Odell Beckham Jr.
Browns quarterback Baker Mayfield was ecstatic when the team pulled off a trade for wide receiver Odell Beckham Jr.
Browns wide receiver Odell Beckham Jr. explains his view of the trade that brought him to Cleveland. Browns wide receiver Odell Beckham Jr. talks about his trade to Cleveland. Browns quarterback Baker Mayfield discusses the expectations for 2019. Josh Edwards of the Cleveland Browns on 247Sports joins Kevin Boilard to identify the team's ideal opponents for Week 1 of the 2019 NFL season. Kevin Boilard breaks down the latest mock draft from 247Sports with the help of NFL Draft Analyst Josh Edwards. 247Sports NFL Analyst Kevin Boilard breaks down the possible negative impact of the league's most recent rule change. 247Sports NFL Analyst Kevin Boilard identifies each team's biggest draft need. 247Sports NFL Analyst Kevin Boilard power ranks all 32 teams one week after the start of free agency. 247Sports NFL Analyst Kevin Boilard grades each NFL team for their offseason moves to date. 247Sports NFL Analyst Kevin Boilard explains how trades have taken over free agency as the go-to offseason move. Josh Edwards of the Cleveland Browns on 247Sports breaks down the team's plan for running back Kareem Hunt, who is facing an eight-game suspension. Josh Edwards of the Cleveland Browns on 247Sports joins Kevin Boilard on the 247Sports NFL Free Agency Special on Facebook Live to discuss where the team currently stands. Dan Schneier of the New York Giants on 247Sports breaks down the trade that sent Odell Beckham Jr. to the Cleveland Browns. Josh Edwards of the Cleveland Browns on 247Sports discusses the impact of the team's reported trade for New York Giants wide receiver Odell Beckham Jr.
Dan Schneier of the New York Giants on 247Sports explains why the team won its reported deal with the Cleveland Browns, involving Olivier Vernon and Kevin Zeitler. Josh Edwards of the Cleveland Browns on 247Sports explains why the team decided to make a trade with the New York Giants, involving Kevin Zeitler and Olivier Vernon. Jamey Eisenberg and Pete Prisco break down the potential landing spot for Tyrod Taylor. Oklahoma Sooners QB Kyler Murray at the NFL Combine on 247Sports. Cleveland Browns general manager John Dorsey speaks to reporters at the NFL Scouting Combine. The Cleveland Browns at the NFL Combine on 247Sports. Cleveland Browns head coach Freddie Kitchens speaks with reporters at the NFL Scouting Combine. Jamey Eisenberg and Pete Prisco break down the notable offseason storylines regarding the Browns. Josh Edwards of the Cleveland Browns on 247Sports joins Kevin Boilard to break down Kareem Hunt's role with the Browns. Josh Edwards of the Cleveland Browns on 247Sports joins Kevin Boilard to discuss how the Browns will handle Kareem Hunt's discipline from the NFL. Can Kyler Murray turn around an NFL team like Baker Mayfield? 247Sports NFL Draft expert Josh Edwards joins Kevin Boilard to project the impact Kyler Murray will have at the next level. Josh Edwards of Cleveland Browns on 247Sports grades Freddie Kitchens' first coaching staff. Josh Edwards of Cleveland Browns on 247Sports examines how other teams will eventually pursue Cleveland's front office. Browns quarterback Baker Mayfield CBS Sports HQ on behalf of the Pepsi to discuss the hiring of Freddie Kitchens and what he plans to work on this off season to become a better quarterback. Browns head coach Freddie Kitchens explains his strategy for building trust with players. Browns head coach Freddie Kitchens explains why he has been overlooked as a head coaching candidate. 247Sports NFL Draft expert Josh Edwards joins Kevin Boilard to discuss who he believes are the top pass rushing prospects coming out of college this year. 247Sports Cleveland Browns reporter Josh Edwards joins Kevin Boilard to discuss why John Dorsey is his pick for NFL Executive of the Year. 247Sports Cleveland Browns reporter Josh Edwards joins Kevin Boilard to discuss the latest hirings for new Cleveland Browns HC Freddie Kitchens. Browns General Manager John Dorsey talks about the process that led to the hire of Freddie Kitchens. Browns head coach Freddie Kitchens says that he will call plays despite hiring offensive coordinator Todd Monken. Browns head coach Freddie Kitchens discusses getting his shot to be a head coach. Browns head coach Freddie Kitchens discusses putting egos aside for the common good of the team. Browns head coach Freddie Kitchens talks about hiring offensive coordinator Todd Monken. Browns head coach Freddie Kitchens wants to compete for a Super Bowl. Vikings introduce new offensive coordinator Kevin Stefanski to media. Josh Edwards of Cleveland Browns on 247Sports examines why the team had the best head coaching vacancy this off-season. Josh Edwards of the Cleveland Browns on 247Sports breaks down the impact of the Browns hiring Freddie Kitchens as head coach. What impact did Freddy Kitchens have on QB Baker Mayfield? 247Sports NFL Analyst Kevin Boilard breaks down the top five head coach job openings heading into the 2019 offseason. On CBS Sports HQ, Jim Nantz and Tony Romo break down all the action from the thrilling Browns Ravens game. Browns WR Jarvis Landry explains what Cleveland's identity has become on offense. Browns DB Damarious Randall talks about the defense become more consistent with experience. Browns DB Damarious Randall wants to finish the season on a high note. Previewing the Browns and Ravens in Week 17, presented by Buffalo Wild Wings. Spero Dedes and Adam Archuleta recap the Browns divisional win over the Bengals, 26-18. Browns OL Joel Bitonio expects former head coach Hue Jackson to receive some boos Sunday. Browns OL Joel Bitonio was pleased fans voted him as an alternate to the NFL Pro Bowl. Browns OL Joel Bitonio wants to finish the season with a home win over the Bengals. Browns WR Jarvis Landry believes the culture is changing in Cleveland. Browns WR Jarvis Landry is ready to earn a Pro Bowl appearance next season. Browns RB Nick Chubb is hoping to eclipse the 1,000 yard mark and make the Pro Bowl. Browns CB Denzel Ward is blessed to make the Pro Bowl in his first NFL season. Browns CB Denzel Ward is back with the Browns after missing two games with a concussion. Browns QB Baker Mayfield says the culture is changing with the Browns. Browns QB Baker Mayfield wants to see fans show up in support for their final home game. Browns QB Baker Mayfield is not happy with his designation as a Pro Bowl alternate. Browns QB Baker Mayfield talks about how the Browns can show improvement in their final two games. Previewing the Bengals and Browns in Week 16, presented by Buffalo Wild Wings. Josh Edwards of the Cleveland Browns on 247Sports makes the case for Baker Mayfield as the NFL's Offensive Rookie of the Year. Brady Quinn and Pete Prisco to discuss what the Browns must do to secure a playoff spot. Browns LB Joe Schobert talks about Denver missing wide receiver Demaryius Thomas and Emmanuel Sanders. Browns OL JC Tretter talks about his ankle injury and how he continues to suffer setbacks. Browns QB Baker Mayfield talks about still being in the playoff hunt in Week 14. Browns QB Baker Mayfield talks about interim head coach Gregg Williams. Browns QB Baker Mayfield talks about the Broncos pass rush. Previewing the Browns and Broncos in Week 15, presented by Buffalo Wild Wings. Browns interim head coach Gregg Williams discusses the team's important fourth down stops. Browns interim head coach Gregg Williams explains the defense's effort in the first half vs. the second half. Browns QB Baker Mayfield wants to see more fans in the season finale against the Bengals. Browns QB Baker Mayfield breaks down how the 51-yard touchdown pass to WR Jarvis Landry happened. Browns QB Baker Mayfield talks about being aggressive in the first quarter. Browns WR Jarvis Landry talks about his big day against the Panthers. Browns WR Jarvis Landry is not giving up hope on a playoff berth just yet. Browns WR Jarvis Landry discusses receiving more target against the Texans and how Baker Mayfield bounced back. Browns QB Baker Mayfield explains the benefit of scrambling out of the pocket to keep the play alive. Browns QB Baker Mayfield is 'very eager' for another chance to play for a win. Browns QB Baker Mayfield explained what he learned from throwing three interceptions in Houston. Browns QB Baker Mayfield explains how he bounces back from throwing three interceptions against the Texans. 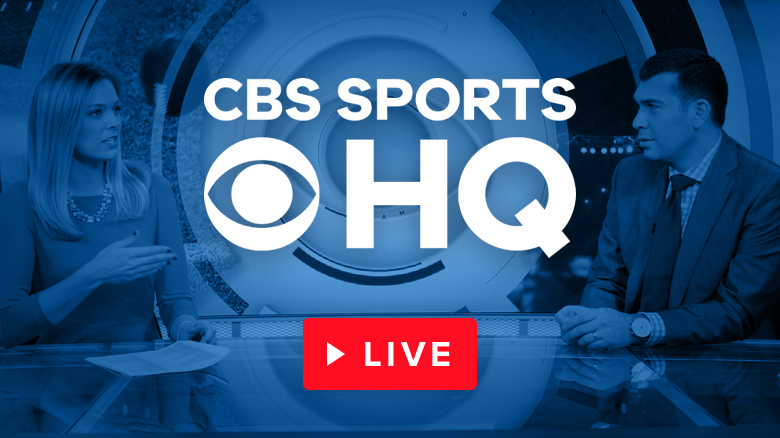 On CBS Sports HQ, CBS Sports NFL writer Ryan Wilson joins Casey Keirnan and Jorge Andres to discuss why he has the Browns taking D.K. Metcalf in the 2019 NFL Draft. Previewing the Panthers and Browns in Week 14, presented by Buffalo Wild Wings. On CBS Sports HQ, Bruce Arians and Trent Green join Hakem Dermish to recap the Texans 9th straight win. Phil Simms and Boomer Esiason break down the upcoming matchup between the Browns and Texans. Browns QB Baker Mayfield talks about the remarks that were made about him by media personalities. Browns QB Baker Mayfield respects the play of Texans QB Deshaun Watson. Browns QB Baker Mayfield is not concerning himself with what ESPN and others are saying about him. Browns QB Baker Mayfield knows that the ball must come out quick against Houston's aggressive defense. Browns QB Baker Mayfield is not backing down from the remarks that he made about former head coach Hue Jackson. On The Tuesday Touchdown at 247Sports, NFL Analyst Kevin Boilard to highlight the Cleveland Browns' recent resurgence. Previewing the Browns and Texans in Week 13, presented by Buffalo Wild Wings. Josh Edwards of the Cleveland Browns on 247Sports shares his biggest takeaway from the team's Week 12 win over the Bengals. On CBS Sports HQ, Baker Mayfield breaks down the Browns offensive outburst in 35-20 win over the Bengals on the road. On CBS Sports HQ, Rich Gannon and Kevin Harlan break down the Bengals commanding 35-20 win over the Bengals on the road. Browns LB Joe Schobert downplays playing against former head coach Hue Jackson. Linebacker Joe Schobert and the Browns are hoping to end a 25 game road losing streak this weekend. Browns QB Baker Mayfield talks about the high-powered Rams and Chiefs offenses. Browns QB Baker Mayfield discusses what he learned from former head coach Hue Jackson. Browns QB Baker Mayfield talks about playing against former head coach Hue Jackson, who is now with the Bengals. Browns QB Baker Mayfield is ready to take another step in his development Sunday against the Bengals. Previewing the Browns and Bengals in Week 12, presented by Buffalo Wild Wings. On CBS Sports HQ, Kenny White and Micah Roberts break down their best underdog plays for Week 12. Browns GM John Dorsey wants the focus to remain on the team's final six games. Browns GM John Dorsey gives praise to assistant coaches Freddie Kitchens and Blake Williams. Can you still trust Jarvis Landry in your lineup? Browns QB Baker Mayfield talks about the offensive line giving up zero sacks in Sunday's win. Browns QB Baker Mayfield talks about what went right and what did not in Sunday's win over the Falcons. Browns QB Baker Mayfield talks about a new wrinkle in the Browns offense - the Wishbone. Browns QB Baker Mayfield talks about the confidence he received from the coaching staff this week. Browns RB Nick Chubb talks about the 92-yard touchdown run that re-wrote team record books. Browns interim head coach Gregg Williams talks about the halfback pass that ended with an interception. Browns interim head coach Gregg Williams talks about Cleveland holding strong on the goal line. Browns interim head coach Gregg Williams discusses the play of Baker Mayfield and return of Joe Schobert. Browns interim head coach Gregg Williams talks about implementing the wishbone into Cleveland's offense. Browns interim head coach Gregg Williams was happy with how all three phases of the team performed Sunday. Josh Edwards of the Cleveland Browns on 247Sports breaks down the team's 28-16 win over the Falcons. Browns QB Baker Mayfield talks about getting running back Duke Johnson more involved against the Chiefs. Browns QB Baker Mayfield talks about what he must do to take the next step in Cleveland. Browns DB Damarious Randall is ready to go this weekend against the Atlanta Falcons. Browns DB Damarious Randall talks about the problems that the Atlanta offense present. Browns QB Baker Mayfield addresses the Atlanta defense and reasons for his inaccuracy last week. Former NFL QB Brady Quinn breaks down which teams he's confident in, presented by Rocket Mortgage by Quicken Loans. Previewing the Falcons and Browns in Week 10, presented by Buffalo Wild Wings. Pete Prisco and Brady Quinn give you their Pickem picks for week 10 of the 2018 NFL season. Browns QB Baker Mayfield was pleased with the communication from the offensive coaching staff. Browns QB Baker Mayfield saw a lot of positives Sunday from the Browns offense. Browns QB Baker Mayfield was excited to get running back Duke Johnson more involved on offense. Browns interim head coach Gregg Williams needed to see more improvement from his defense Sunday. Josh Edwards of the Cleveland Browns on 247Sports breaks down the team's offensive improvement in a 37-21 loss to the Kansas City Chiefs on Sunday. On CBS Sports HQ, Greg Gumbel, Bruce Arians and Trent Green break down the Chiefs 37-21 road victory over the Browns. On CBS Sports HQ, Melanie Collins catches up with Patrick Mahomes to discuss another impressive showing from the Chiefs offense in a road win against the Browns. CBS Sports senior NFL writer Pete Prisco shares his picks for the Chiefs and Browns heading into week 9. Browns QB Baker Mayfield was surprised by his first NFL firing. Browns QB Baker Mayfield is not concerned about the coaching changes Cleveland has made. Browns QB Baker Mayfield addresses competition against Chiefs quarterback Patrick Mahomes. New Browns offensive coordinator Freddie Kitchens discusses changes made and the reports of discord within the offensive staff. Browns CB Denzel Ward learns the business of the NFL in his first season. Browns CB Denzel Ward discusses the complications that come with facing the high-powered Chiefs offense. Previewing the Chiefs and Browns in Week 9, presented by Buffalo Wild Wings. Pete Prisco and Brady Quinn give you their Pickem picks for week 9 of the 2018 NFL season. 247Sports Cleveland Browns reporter Josh Edwards joins Kevin Boilard to discuss if the Browns really needed to fire offensive coordinator Todd Haley. 247Sports Cleveland Browns reporter Josh Edwards joins Kevin Boilard to discuss who could potentially be the next head coach for the Browns. 247Sports Cleveland Browns reporter Josh Edwards joins Kevin Boilard to discuss how the future of the Browns season will pan out after the firing of Hue Jackson. Jamey Eisenberg and Pete Prisco break down the latest developments from the Hue Jackson firing. NFL insider Jason La Canfora provides the latest details regarding the dismissal of Hue Jackson and Todd Haley in Cleveland. The Browns fire the head coach after a 3-36-1 campaign. Head coach Hue Jackson discusses where it went wrong for the Browns in Sunday's loss to the Pittsburgh Steelers. Browns QB Baker Mayfield was hit early and often by the Steelers Sunday. He explains the team's offensive issues. Browns QB Baker Mayfield was asked about reported dysfunction between offensive coordinator Todd Haley and head coach Hue Jackson. Ian Eagles and Dan Fouts recap the best and worst moments of the Steelers 33-18 win over the Browns. Browns OG Joel Bitonio explains that the offensive line has given up too many sacks. Browns OG Joel Bitonio understands the need to start games faster on offense. Browns WR Jarvis Landry is working on his on-field chemistry with quarterback Baker Mayfield. Browns WR Jarvis Landry understands the implications on the line this week against a division rival. Browns CB Terrance Mitchell plans to return from a fractured forearm this season. Phil Simms and Boomer Esiason break down the upcoming matchup between the Steelers and Browns. Browns QB Baker Mayfield discusses the claim of more involvement from head coach Hue Jackson. Browns QB Baker Mayfield discusses the league's private acknowledgement of his hit to the head. Browns QB Baker Mayfield gives the layout for winning this week's rivalry game against Pittsburgh. Browns QB Baker Mayfield talks about Week 8 against the Steelers and why the offense has started slow this season. 247Sports NFL Analyst Kevin Boilard joins Mike DiSipio to discuss Hue Jackson's future with the Cleveland Browns. Browns LB Joe Schobert talks about missing his first game ever due to injury. Browns WR Jarvis Landry and QB Baker Mayfield are working to get on the same page.